God has more for you. 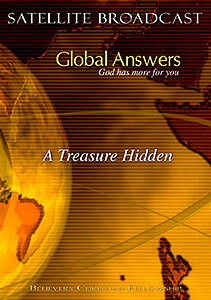 Jesus compared the Kingdom of Heaven to a treasure in a field. When a man stumbled upon the treasure, he sold all he had to buy the field and gain that treasure. Truth does not come out from man. Truth must come to man, and when truth is found, we must also sell all that we have to purchase the treasure in the field. © 2012 Believers Christian Fellowship. All rights reserved.